Hiking can be a year-round activity, but spring is a wonderful time of year to discover a new trail or even rediscover an old one. This is especially true if you live in an area with a lot of trees and the full four seasons. 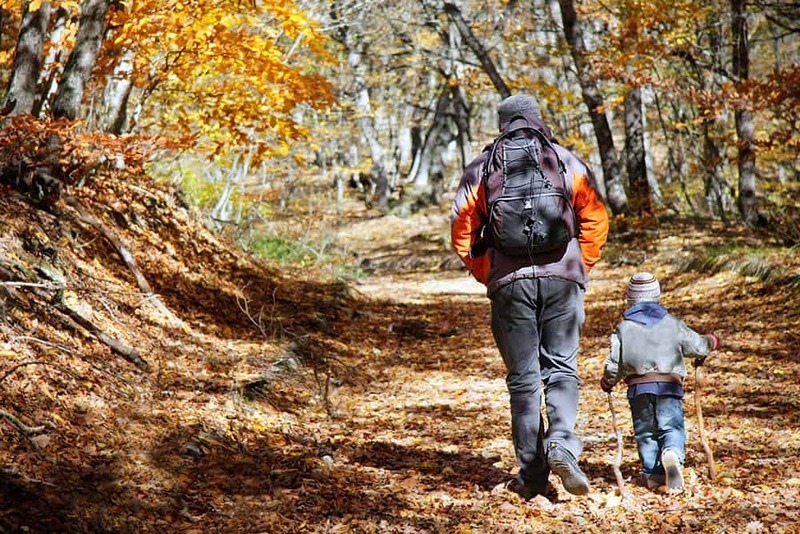 While hiking alone can be fun and relaxing, there are so many benefits to hiking with kids. 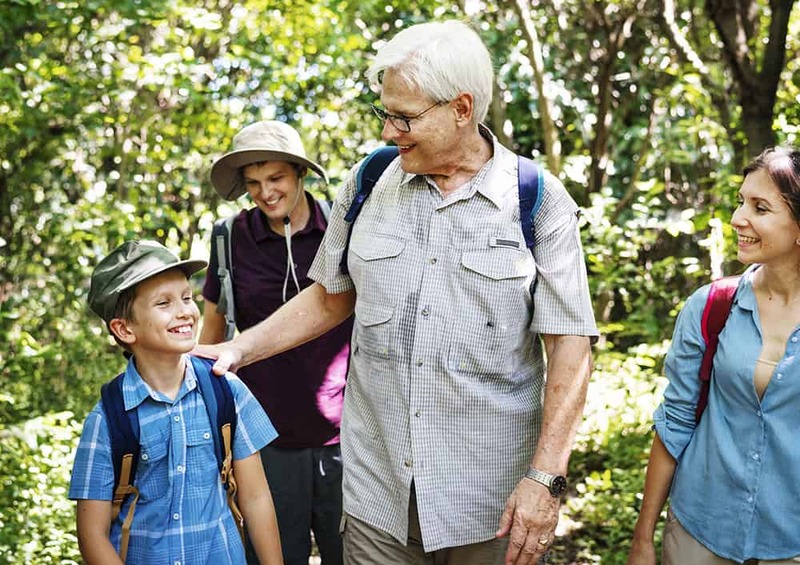 Keep reading to learn more about why hiking is a great family activity and how to get started hiking. Hiking with family is a bonding experience. Kids seem to be as scheduled as their parents with sports, playdates, and year-round activities. Time as a family can quickly become limited in many cases. Hiking brings you together for an adventure that everyone can enjoy and remember. This is a great way to bond during a digital detox with your family, too. Your family will be able to exercise together. Hiking gets everyone moving and away from the screens which makes it a healthy hobby to pursue as a family. You’ll be able to work nearly all of your muscle groups while you hike and even the littlest ones can enjoy this scenic form of exercise. Hiking is great for cardio, but it can also help teach balance and agility in kids. Hiking is a fantastic way to motivate kids to be active without pushing exercise as the main goal. There are plenty of opportunities to appreciate nature. Trails offer a lot of opportunities for learning about nature with so much to see and watch that we don’t normally witness in our own backyards. You can easily discover different types of bugs, plants, birds, and wildlife on a variety of trails. Different parts of a trail can have different environments such as swamps, meadows, and forests as well. Each environment will give you the opportunity to view educate your children in a way that feels fun for the whole family. You can also teach your kids these easy ways to protect our forests. It’s an inexpensive family hobby. Hiking can be incredibly inexpensive, depending on the type of gear you already own and the hiking that you plan to do. Have boots and a jacket (or weather appropriate clothing)? You’re halfway there. Add in some water and a few snacks in a backpack and you’re pretty much set. You might want to use something to naturally repel mosquitoes or be prepared with a few essential oils for scrapes, but these aren’t required – especially if you’re opting for easier trails. A good first aid kit is handy as well. You can build your problem solving skills. Hiking is an amazing way to boost your problem-solving skills and even work together. While hiking, you need to decide which way to follow on the trail, but also how to navigate obstacles. Fallen trees, crossing water, and navigating around rocks all require some critical thinking. These moments can be incredible teaching moments for younger children or even opportunities to gather input from everyone in the group. Once all ideas are discussed, you can choose the best option together and encourage cooperation. Ready for your first family hike? Now that you know the benefits of hiking with kids, you might be anxious to get started hiking. Learning how to hike can be hard, especially when you have kids. But it’s so much easier with a FREE seven-day email series on how to get started hiking with kids. You can quickly learn how to start getting fit for hiking, what to bring, how to treat and prevent common injuries, safety precautions, and more. 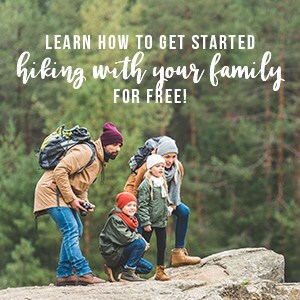 If you’re wanting to hike with your family, but have no idea where to start – this free email mini-course is for you! 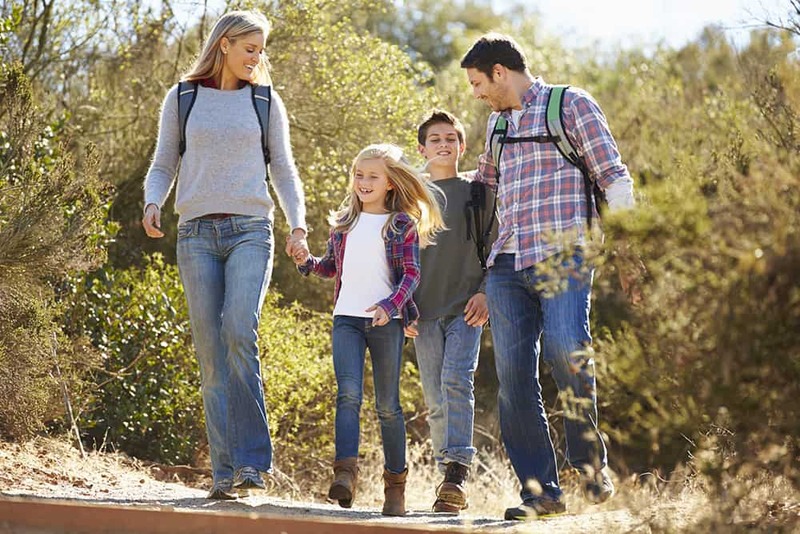 Learn more about how to start hiking with your family to sign-up. If you’re already somewhat confident in your hiking abilities as a family, now it’s time to find the trails! A simple Google search of “hiking trails near me” may be enough to offer a mile long list of ideas. But if not, there’s plenty of places to find more hiking trails. Local tourism centers are great options and so is the DNR. The Parks and Recreation Department is also a fantastic resource for finding trails, nature paths, and more. If you’re hiking with little kids, you may want to see if they have restroom facilities nearby or plan a stop before/after if they don’t. And speaking of little kids, remember that hiking with kids is much different than hiking solo or with just adults. The pace and conversation will be much different. Plus, their legs can tire much quicker. You might want to try this scavenger hunt printable to help keep them occupied and entertained during the hike. The benefits of hiking with kids are massive. This inexpensive activity provides plenty of opportunity for families to bond and exercise together, but it’s also entertaining for all ages. It doesn’t take long to learn how to get started hiking with kids and find trails that are waiting for your family to explore them. Did this encourage you to get outside more? Do you know someone that might love learning more about the benefits of hiking with kids? I would SO appreciate you sharing the post so I can help inspire more families to get outside. You can pin it below or use the share buttons at the top and bottom of the post.